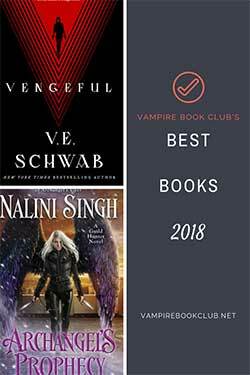 Note: While this review is spoiler free, it does assume you’ve read the previous books in the series. 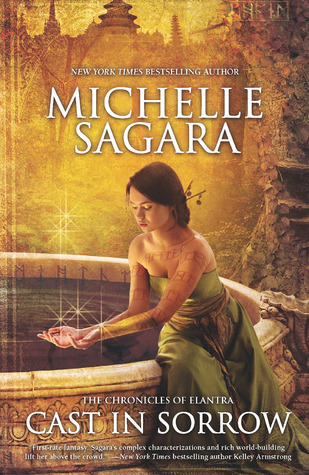 When I reached the end of Cast in Peril, I wasn’t sure how Michelle Sagara was going to top it. And while she doesn’t quite manage it, she comes extremely close with Cast in Sorrow. After the grueling journey to the West March to participate in the Regalia as the harmoniste, Private Kaylin Neya might have been expecting the rest of the trip to go a little smoother. But this is Kaylin we’re talking about, and of course it doesn’t get any easier. She arrives with the entourage from the Barrani High Court with the Consort unconscious, which doesn’t bode well for the remainder of the trip. What follows is a journey through dreams and alternate dimensions, a struggle for freedom and a terrible need to right a wrong done centuries ago. If that sounds a little vague, you’re right. 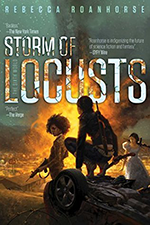 The thing about this series is you can’t just jump in anywhere, and for some readers, following a series from book to book, especially one as dense as The Chronicles of Elantra, can be anywhere from a little annoying to so frustrating we stop trying. But if you stick with it…it is so worth it. It’s worth it because in every installment Kaylin grows. Sagara excels at so many things with this series, but top of that list for me is character development. Kaylin’s learning to hold her tongue, to puzzle out the answers before she asks the questions, and she’s no longer afraid that turning to someone for comfort will make her look weak. She understands, now more than ever, the power of words, yet she’ll always be the kind of woman who acts first, then thinks about the consequences whenever someone she cares for is in danger. The world building in Cast in Sorrow is top notch, as usual, and we get to explore a different city along with Kaylin as she feels her way around the West March. She stumbles through the Consort’s dreams and learns the tunnels to the heart of the green, and we get to stumble through the dark right alongside her. She’s not alone, though. Severn wasn’t as big a presence this time around (which was my sole disappointment with this book) but he was there when it counted, and I loved that Kaylin no longer felt the need to refute everyone’s claim that he was hers. She’d accepted it, and accepted him, and if I keep going in this vein there’s going to be some major, major ‘shipping going on, so I’ll just leave you with the knowledge we learn some very important things about Severn’s past with the Wolves. But for all the growth Kaylin experiences, this was, in the end, Teela’s story. The Barrani Hawk risked returning to the West March for the Regalia, knowing what might happen to her if she did. Sagara turned a somewhat unsympathetic race and humanized them a little more with Teela’s painful past, and I’m just sorry I’ve got to wait a whole year for Cast in Flame. I am so excited! I have been waiting for this one to come out and it’s almost here. This series is one of my favorites. Every time I finish one of these books, I get so mad I have to wait a year for the next one. This book was fabulous, I have no doubt you’ll love it! I can’t wait to pick this one up on Tuesday!!! 😀 Thank you so much for the review 🙂 So looking forward to reading about Kaylin and learning more about Teela. Just finished and it was definitely my least favorite. I’m even irritated that I was anticipating it that much. I disagree so much about the “your” Severn thing. It’s very irritating that they call him that a few times, and that he follows along throughout the book for no purpose other than explaining one thing about his weapon. I don’t see him as a viable love interest, as it seems creepy, like he used to be her babysitter. I got very little relationship or personal growth on any of the characters. Hopefully seeing the more “human” side of Nightshade will allow that to be a larger portion of the next book.